Robbie's Lottery supports the local Youth fishermen. Fundashon Kontra Kriminalidat i Pobresa for a long time now has been running a project which gives young drop-outs a second chance by teaching them how to fish. the main purpose is for them to generate an income so they can provide for themselves and their families. The biggest challenge of this project is to fight the continous vandalism. Anti-socials will sometimes release the fishermen's boats and destroy their nets. These unknowns don't know how much damage they are causing to the progress that the Fundashon Kontra Kriminalidat i Pobresa is trying to make by keeping these youngsters from negativity, and also help them build their self-esteem. Recently Robbie dos Santos supported this project financially, so they can repair their fishing nets and consequently stay on the right path. What is more remarkable of Mr. Robbie dos Santos contribution is that this project is all about giving youngsters with good intentions a second chance to have a good formation and stay on the right path. 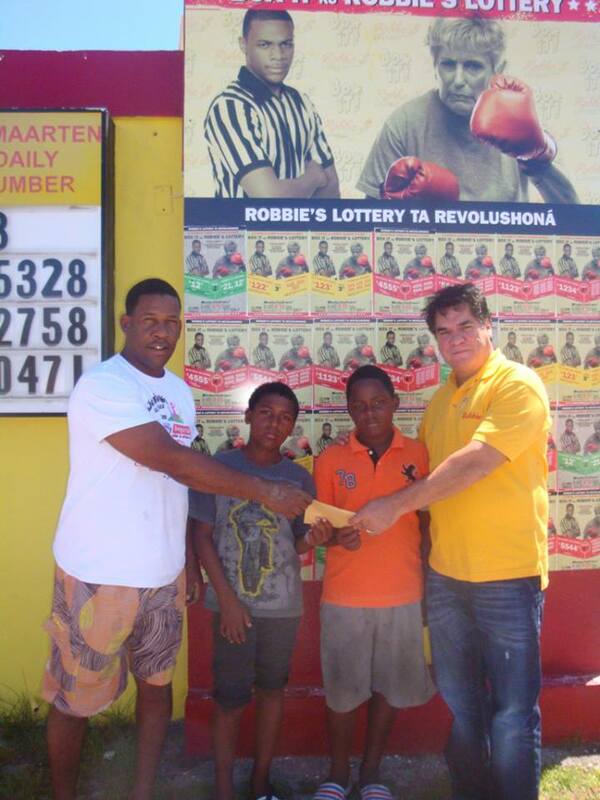 President of the Fundashon Kontra Kriminalidat i Pobresa, Juniel Carolina said: "This helping hand by Mr. Robbie dos Santos came at the right moment; most people don't know how much effort it takes to help keep the youngsters in our community on the right path."